Carrer d’Angel J Baixeras is a street in the Gothic Quarter (or Barrio Gótico in Spanish) in Barcelona, Spain. At this location, the Spanish Postal services Correus has a postal office, hence the many yellow cars in the street today. 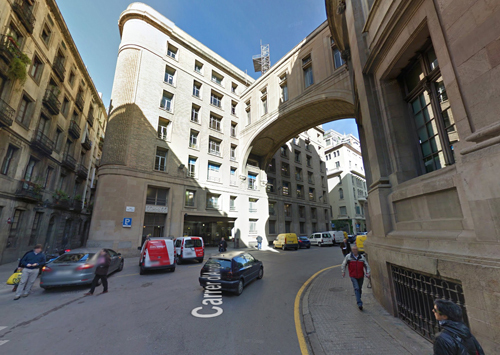 Angel J Baixeras was an Spanish architect and urbanist that lived between 1834 and 1892. He is mainly known for the creation of an urban project of reform of the old centre of Barcelona, the Plan of interior reform of Barcelona (1878). At the end of the 19th century, the City of Barcelona planned the expansion of its city in the Plan de Ensanche, elaborated by Ildefonso Cerdá in 1859. 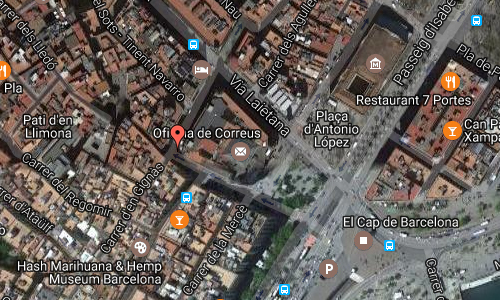 This plan foresaw the opening of three major avenues in the old town: two connecting the Ensanche with The coast (Muntaner and Pau Claris-Via Layetana) and another in perpendicular sense (Avenue of the Cathedral). 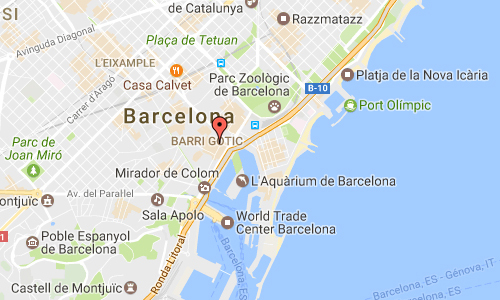 More information at es.wikipedia.org and meet.barcelona.cat.